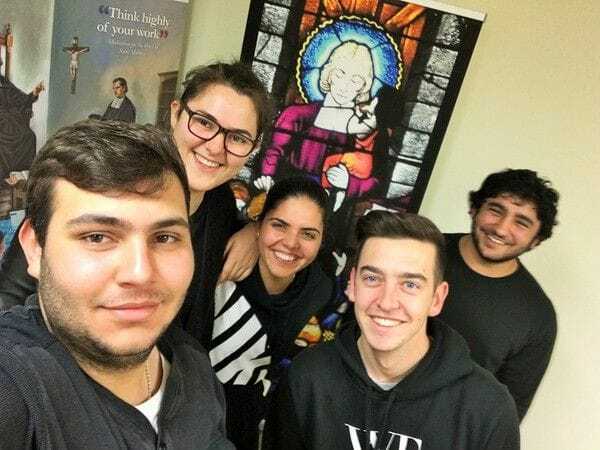 A group of Young Lasallian Alumni from across Sydney have gathered for what has now become a regular monthly meeting of prayer, networking and discussion on faith-based topics. The monthly group called BASIC Mondays started in September and it is bringing together Lasallian Youth Ministers and Alumni from across the eight schools in Sydney for a fun evening where they can share their faith journey in a supportive environment. 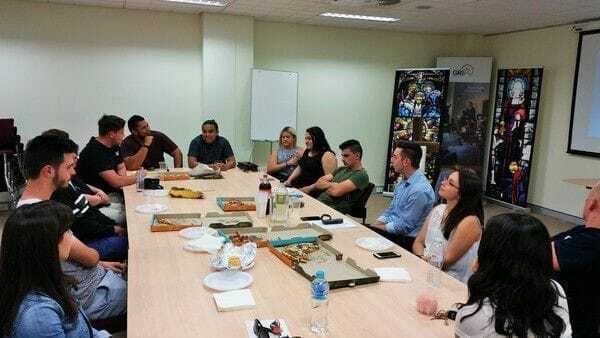 This month the group had a thought-provoking discussion over pizza on the significance of the sacrament of Confirmation which is generally received by students in upper primary school in Australia. The BASIC Group reflected upon whether young Catholics could potentially benefit from receiving the sacrament at a later age in high school after they have undergone more spiritual formation and are in a position to make a personal choice rather than one made exclusively by their parents. The Young Lasallians also looked back upon their own confirmation ceremonies and how significant an event it was in their personal lives and discussed why they chose a particular Saint's name as their confirmation name. This month's BASIC Monday was also an opportunity for Lasallian Youth Ministers and other volunteers to begin planning Camp La Salle in Sydney which is being held from 7-9 December. This annual three day camp is targeted at male students in Year 7 and 8 who may have had a challenging year or perhaps should be rewarded for improvement and/or commitment to their school life. The camp will take place in the picturesque setting of the Collaroy Centre on Sydney's northern beaches and will involve fun sporting activities on the beach, movie nights, talent quests and trivia competitions. You can find more information about BASIC through our Young Lasallians team.